BIRN Regional Director Gordana Igric has sent a letter on behalf of the network to more than 30 international human rights and media organisations including the Committee to Protect Journalists, Amnesty International, Human Rights Watch, the Helsinki Committee for Human Rights and International Press Institute to highlight the continued pressure on BIRN in Serbia. The Balkan Investigative Reporting Network, BIRN, wishes to draw your attention to alarming developments in Serbia, where the Serbian Prime Minister and other high-ranking government officials are conducting unprecedented attacks against critical voices, be it organisations or individuals. It has been exactly a month since our organization came under attack for publishing an investigation flagging up important issues of public interest. In response, the government branded BIRN journalists EU mercenaries, spies and “liars”, working against Serbian national interests. The attacks from government-allied media have since receded but they have not stopped. In the meantime, other organizations and independent institutions, like the Humanitarian Law Centre and the Serbian ombudsman have also come under fire, with almost identical ammunition, labeling them traitors, mercenaries, etc, which points to a worrying pattern and sends a clear message to any critical voices about what lies ahead. 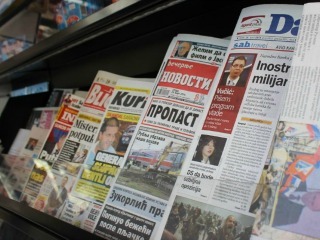 Since the campaign against BIRN was launched, over 40 civil society organisations have called on the Serbian authorities to protect the public interest and investigate the concerns raised by BIRN, and many of them have engaged with BIRN to organise a series of events dedicated to freedom of speech. For a while now the international community’s approach to the region appears to prioritise stability at the expense of democratic freedoms. In Serbia’s case, as long as the country is cooperating with the EU-led dialogue with Kosovo, there is a silence regarding other worrying developments. BIRN and its partners are deeply concerned that the situation is likely to deteriorate further and we therefore appeal to you to express concern over these issues.